Please call owner Raymond at 760-250-7360. Boat Location: Indio, California. 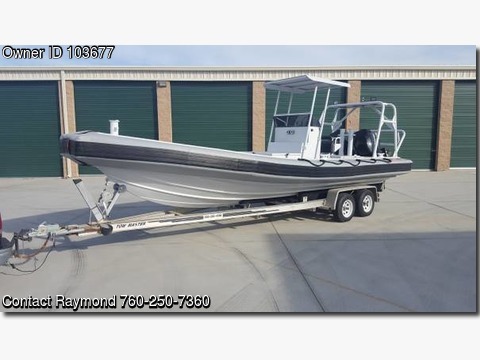 2009 Am 800 Boat. Length: 26ft. / 8 meter. Foam/inflatable collars, make it virtually unsinkable. Propulsión: Pair of 2009 Mercury 200hp Optimax with 239 hours. Available with Evinrude E-tec 200HO outboards. Ex-navy boat, made to military specs. New boat cost is $190,000 without trailer. Great for fishing, patrol, tow, pleasure, work, rescue boat, etc. Located near Palm Springs, Ca.